Get the best answer from Top Austin Cosmetic Dentists Serving Austin, Bee Cave, Lakeway and Nearby Areas of Texas. The best answer always comes from a top Austin Cosmetic Dentist who has performed thousands of smile makeovers. 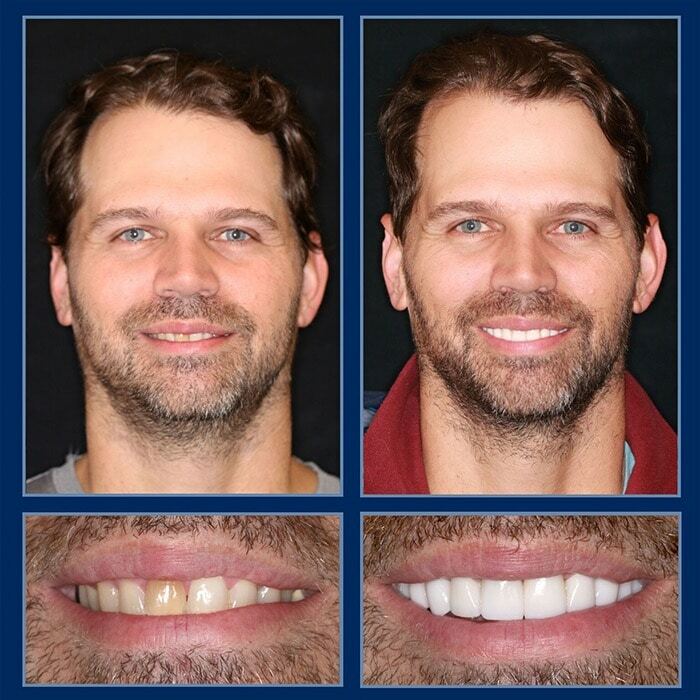 At The Cosmetic Dentist of Austin, Dr. Schiro and Dr. Hay, Austin’s top and most trusted cosmetic dentists, understand how important your smile is and how important it is for patients to understand what is involved in a Smile Makeover and what the cost of a Smile makeover is. We also understand that is difficult, almost impossible to “quote” even a rough price as every case is quite different. To quote a fee without knowing anything about what work would be needed and/or appropriate for you is not what experienced, highly trained cosmetic dentists do. There is no such thing as a one price fits all or even some model. In addition, a poorly done smile makeover or a “cheap” smile makeover can lead to complications and discomfort which can require extensive and expensive revisions. Crooked teeth- we can fix them without braces and avoid years of dental treatment! In order to answer the “What does a smile makeover cost” question, you must be seen so that an experienced cosmetic dentist can evaluate the condition of your mouth/smile, any underlying issues, and your unique concerns. For example, some people need less work (veneers and whitening) while others come to us with literally just 1 or 2 teeth present. So each smile makeover we perform is unique, and as such, the cost will vary. Oftentimes patients come in thinking they need a particular service and we are able to offer them more conservative and economical options. That is why we offer a complimentary consultation (there is NEVER a cost) where we evaluate your case and provide a recommendation(s). Every Complimentary Consultation includes: a complete exam including x-rays if needed. Consultation with one of Austin’s Top Cosmetic Dentists about your goals and concerns, a treatment plan with an all-inclusive fee (no surprises later, and a digitally created preview of how you will look with your new smile. At your consultation we will diagnose and offer treatment plan options, discussing dental financing if you are interested (payments start at $199/month and can often be deferred for 6 months) and more! We show you cases just like yours that we have done, review your options and answer any question or concerns. This is a very low key, relaxed, and no pressure evaluation. Our office is a no judgment, no embarrassment zone. So you never need to fear a visit to The Cosmetic Dentists of Austin. Give us a call at (512) 333-7777 to discuss your specific case, schedule a free consultation and get started on your new Smile.